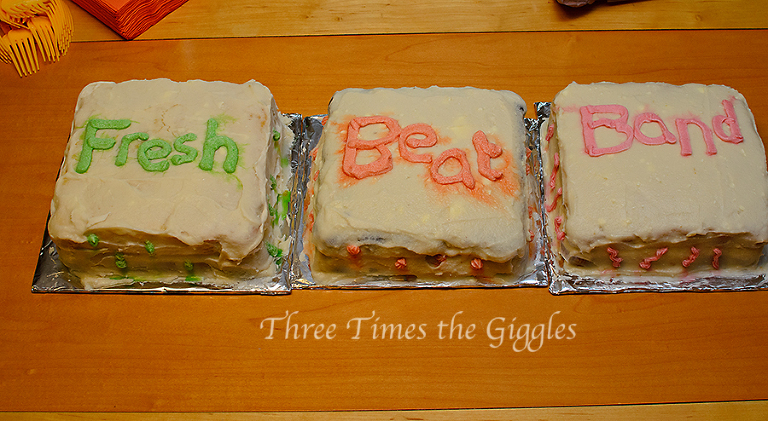 5th Birthday Party, Fresh Beat Band Style! It’s no big secret that the boys love, love, love The Fresh Beat Band. Did I mention they love them? In June we had cable TV for a whopping 4 weeks (long story short, we needed to get cable in order to get internet from this particular provider, but we could then cancel the cable and keep just the internet), and in those 4 weeks the boys discovered and got hooked on The Fresh Beat Band. Thankfully for them, Season 1 of the show is available for instant watch on Netflix, so they’ve still been able to get their “fix”. Considering how popular FBB is with the early childhood set, I was surprised at the lack of party gear. Nickelodeon really needs to get on that! I feel like we did pretty well in throwing together a very FBB and musical themed party though, and the boys and their friends loved it! 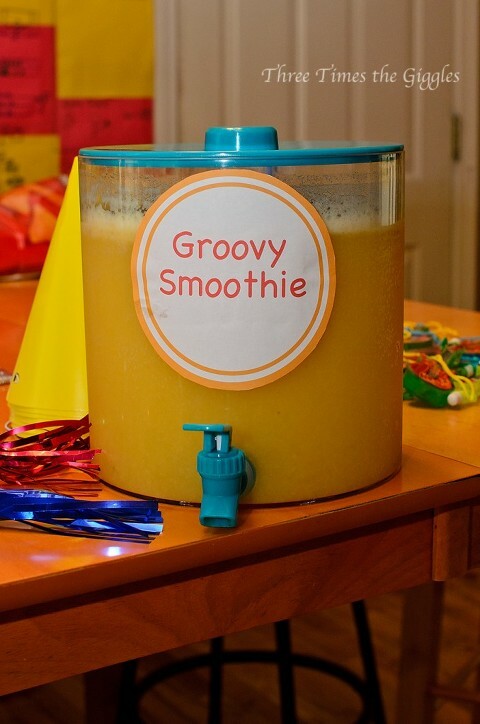 We had to have some “Groovy Smoothies” of course! First – my cakes look sad, I am aware. They had looked far better about 30 minutes prior to this picture. 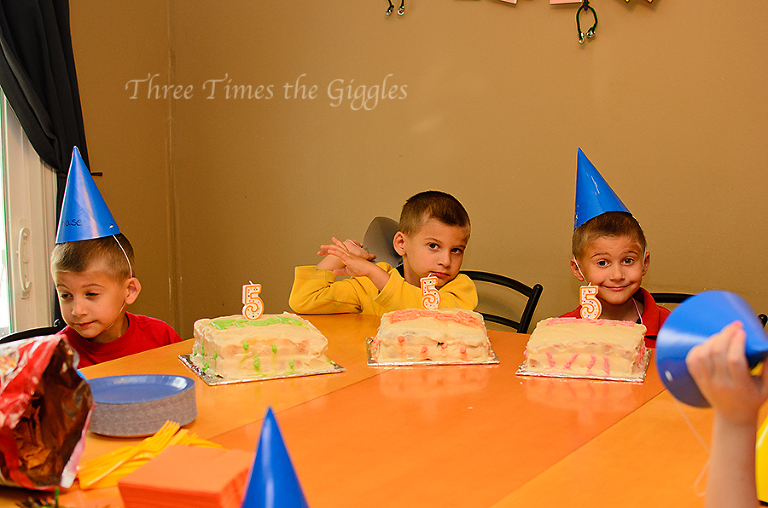 I had set them out on the table, and gone about party business and then came back by and saw this. Waaaah! The humidity was melting the frosting and making the colors run. Boo. 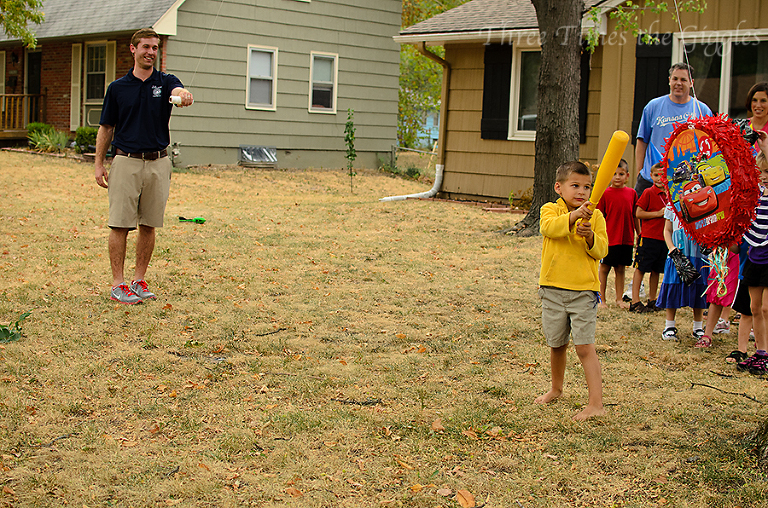 Uncle Mason came through with a piñata again! This year we sang to each of the boys individually! I don’t think we had done that before. 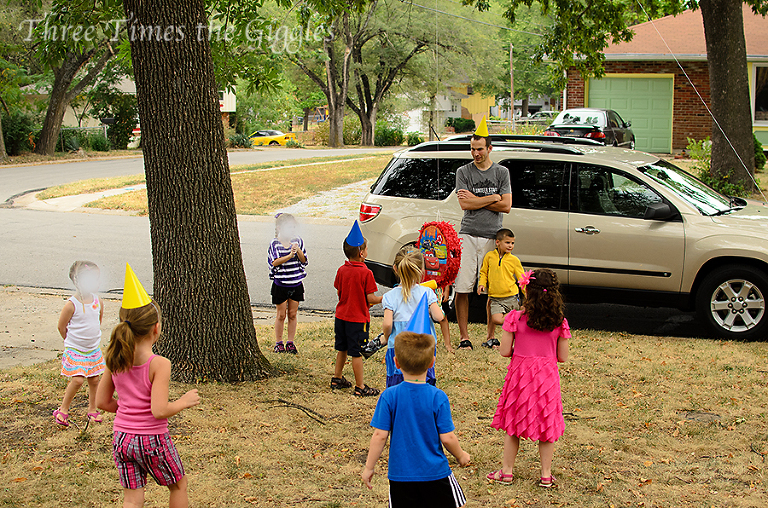 This year I gave the boys a little pep-talk prior to the party, and it paid off…. We didn’t hear any “but that’s not what I wanted!” during present opening. Ha! And then I did something messy and slightly crazy… I threw a bunch of confetti around the living room! Other music/FBB inspired things were inflatable guitars that each of the kids got to rock out to during the party (we played FBB music on Nick’s iPad) and then take home with them, and some guitar shaped bubble necklaces. Originally I had planned to make the back deck look more like a stage and let the kids “perform”, but with the threat of rain I didn’t even bother. At the end of the party, there was one guest in tears because he thought by leaving he was going to “miss seeing the Fresh Beat Band!”. Whoops! Little guy thought FBB would actually BE here. Other than that, I would call it a very successful and pretty low stress party! Blend the first three ingredients in a blender and then partially freeze. Put partially frozen mixture in your serving container and dump the chilled seltzer water on top!